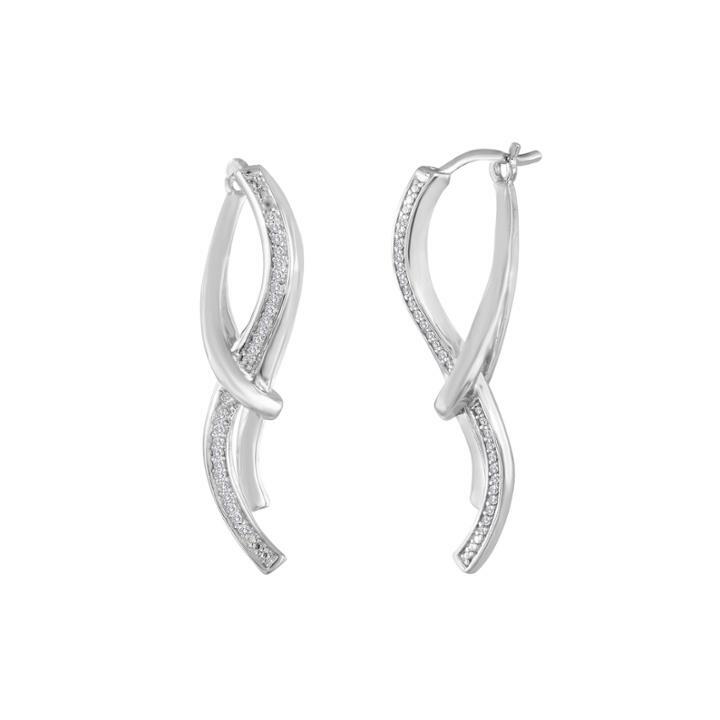 For a noticeable sparkle effect, try these sterling silver linear earrings with just the right amount of diamonds. Metal: Sterling silver Stones: ? ct. t.w. round diamonds Color: H-I Clarity: I1-I2 Back: Hinged Diamond total weights may vary between .01 and .08 carat. Jewelry photos are enlarged to show detail. Diamond Micro Pave Linear Drop Earrings In 14k Rose Gold, .18 Ct. T.w.